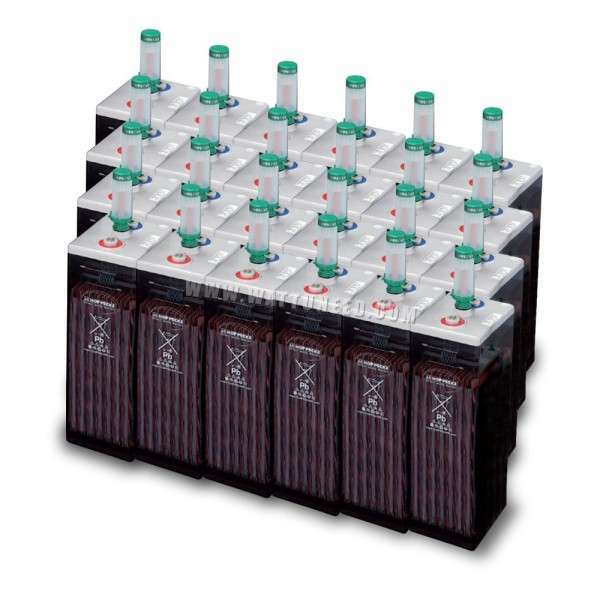 24 batteries Hoppecke OPzS 910 Park. Solar batteries are delivered loaded and filled. Junctions needed to connect to your battery Park are provided. 7 322,70 € tax incl. By buying this product you can collect up to 732 loyalty points. Your cart will total 732 points that can be converted into a voucher of 219,60 €. > Batteries are delivered loaded and filled. > Joints for the connection of your battery Park are provided. 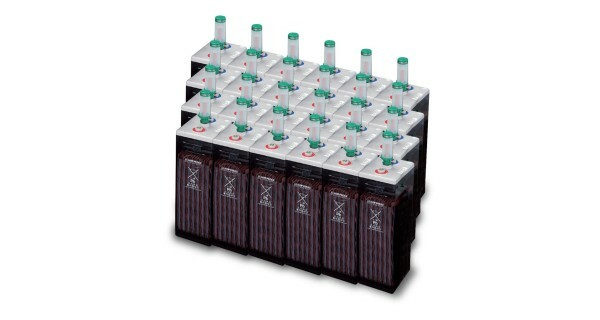 OPzS hoppecke are unique-ventillees cell batteries with liquid electrolyte (diluted sulfuric acid). They are ideal for applications that require a lot of charge-discharge cycles (solar applications). Tubular plate design allows a more effective charging current and good stability during use. 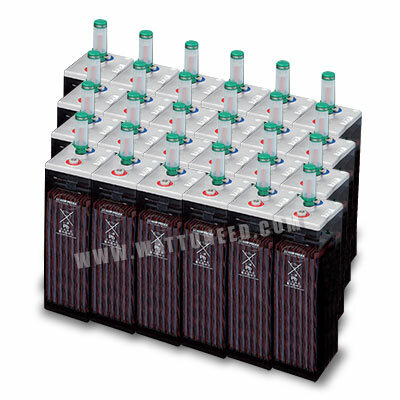 These Hoppecke batteries have a long service life and are suitable for use in cycling. Up to 1500 cycles at 80% depth of discharge. Up to 8000 cycles at 20% depth of discharge.